There are numerous articles about how to target your ads, but seemingly no one is talking about targeting followers in social media. Yes, I admit, sometimes (as with Facebook ads for Fanpages) both are the same. But there are other ways to target than via paid ads, and often they make the difference between an acceptable social media performance and an outstanding one. Or even a bad performance and an acceptable one. I recently was asked to analyze a Twitter account with almost 20.000 followers. The first thing I noticed was that the account was following around 5000 inactive users, people who had not tweeted for a year, some 4000 people were not even talking English, and a few hundred did not even have a profile image. Honestly, these are not the accounts you are looking to connect to in social media. 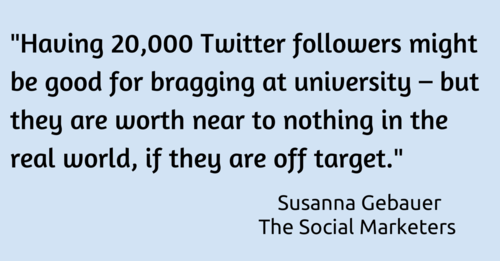 And having 20,000 Twitter followers might be good for bragging at university – but they are worth near to nothing in the real world if they are so off target. Why do so few people care about targeting social media followers? Is everybody still hoping the right people will mysteriously find them and just quietly pile up on their Twitter account, Facebook page or whatever other network they are using? If you are just using social media for fun, that is ok. Keep going. But if you are marketing something and looking to grow a targeted social media following then you are just missing your chance. Why is it common sense to target ads: No matter whether it is Google advertising, Facebook ads or another system, we all agree that targeting decides about winning or losing heaps of money with paid ads. Why does targeting not have the same standing with growing a tribe in social media? Targeted people who match your interests and the information you give with your tweets are more likely to share, retweet or like your posts. Untargeted people get annoyed with messages, which are welcomed by a targeted audience. Talking to a targeted tribe will inspire conversation and responses, it will be much more fun to connect. That is one of the reasons why we all use social media: To start a conversation. The chances of finding success (in the form of readers for the content you post) and generating new clients, buyers, potential business partners, etc. are much higher. Maybe the one reason that many people don’t see the necessity of targeting social media followers is that there is no easily accessible planning tool for this. Ad platforms like Google Adwords of Facebook Ads explain how to target via keywords, location, etc. in step by step instructions, tutorials and simply the possible settings in their tools. With social media followers, these targeting options are not as easy to see. So let us give you an overview of what is possible. But how do you target your social media followers? This is based on three activities: The content you post, the messages you use to reach out, and (maybe most importantly) the methods you use to find the people to get in touch with. 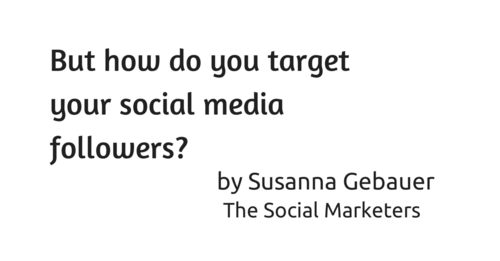 How do you target your social media followers? It all starts and ends with the content and information you share. Make sure this is of interest to the people you want to follow you. 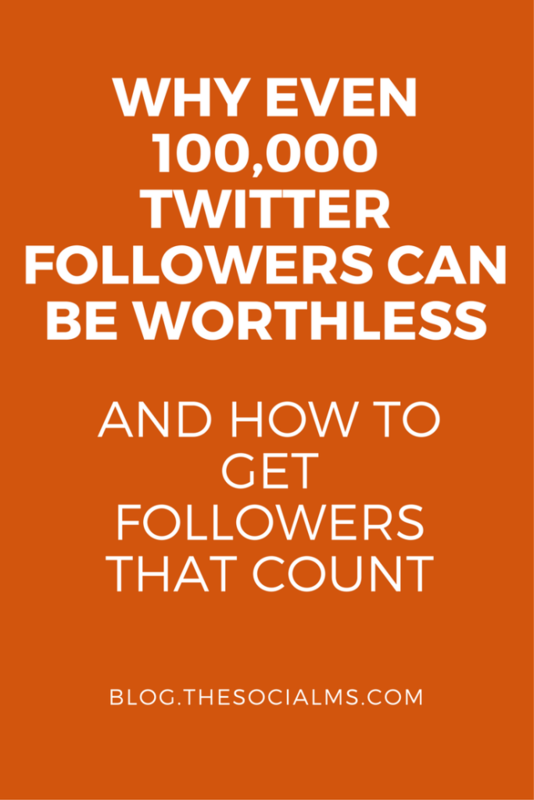 If your account is not worth following for the people in your target audience, you can do everything else right, and still not grow a targeted following. A drastic example I recently came across is a social media agency that mainly posts beautiful pictures of the landscape of their geographic area. How is that supposed to attract people interested in social media? Once you got your content right (and, of course, your bio or profile filled out with the right information), you can start to target more people to notice you. On Facebook, that is often done via paid ads. There are however social networks, where you can grab the attention of people without paying for it: By simply following them (or “circle” them on Google+). 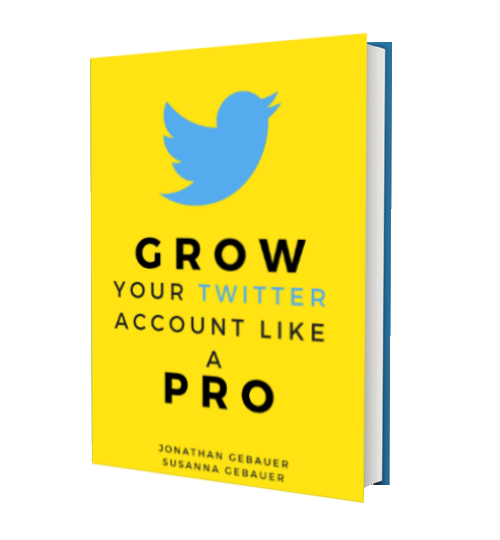 The most convenient network to do this is Twitter for the simple reason of all the nice and handy tools you can use to aid you with your targeting and following. Identifying people with certain interests is probably the most important aspect of targeting. Most of your actions in social media should bear in mind, who it is you are talking to (or would love to be talking to) and what he or she is interested in. It starts with the manner of speech and does not end with the content you share. Lists: Twitter-lists, Influencer lists on blogs, etc. There are multiple lists of influencers and role models for different topics. The nice thing about lists: someone else has done the searching. Depending on what kind of business or service you are marketing, often there are strict limitations on the areas of service. What use are followers who only understand Chinese if I am talking English? Usually “language” goes hand-in-hand with or is at least closely related to “location”. A beginners mistake is to try to get huge social media accounts to listen to them. Won’t happen – instead, target smaller accounts: Smaller accounts are more likely to listen, respond and interact than large accounts. On every social network, there are the dead accounts or the ones barely alive. Do you think someone who logs onto Twitter every 4 weeks, will see your tweet, talk to you and connect? We all know these cute little eggs that Twitter uses as a placeholder for new accounts until you upload a personal avatar. If people are so lazy or uninterested that they do not fill out their profile, they are probably too lazy to connect. These are not accessible to every social network. This is one of the cases where Facebook usually can provide you with more information than others, for instance in the targeting for Facebook ads. Once you get your targeting right, you will notice a significant rise in conversations, interactions and clicks from your social accounts! A very handy tool I use for most of these tasks on Twitter is ManageFlitter. It is a very handy tool, easy to use, and allows for very efficient targeting.